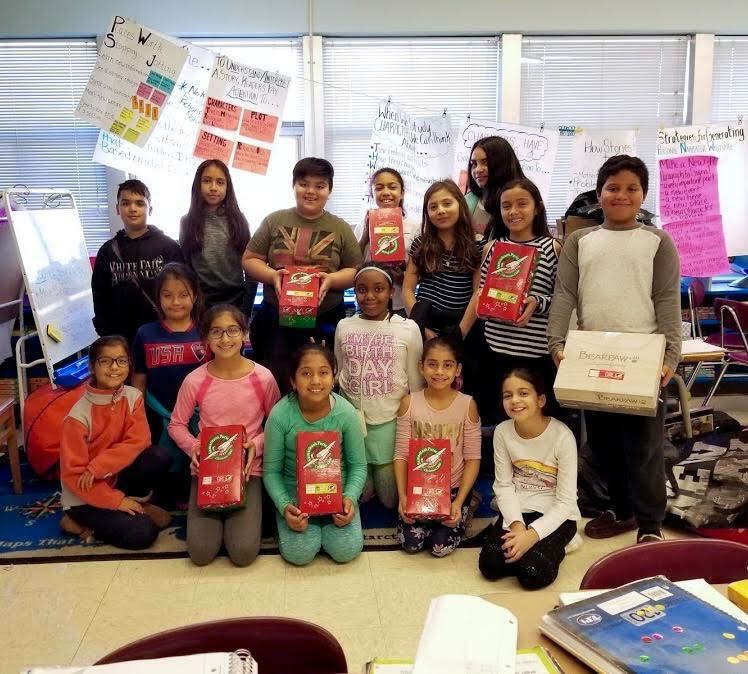 The Connolly School K-Kids recently took part in Operation Christmas Child, collecting school supplies, personal hygiene items and toys to send overseas this December. Thanks to the generosity of the Connolly School community, the K-Kids packed and shipped off seven boxes of holiday cheer. The Connolly K-Kids is a community service organization for fifth-grade students that is sponsored by the North Shore Kiwanis Club. The students’ Kiwanis liaison is retired Connolly teacher Leslie McCarthy, and Krystle Gonzalez and Sandra Vigliotti serve as the Connolly K-Kids advisers. Photo Caption: Member of Connolly School’s K-Kids created shoeboxes full of goodies for Operation Christmas Child.